We advise and support German municipalities on issues of fair trade and fair procurement. We provide these services free of charge. Fair trade is effective development cooperation, and at the same time support for the local community. Municipalities can support the objectives of fair trade by purchasing fairly traded products and avoiding goods manufactured using exploitative child labour or in violation of minimum social standards. As public purchasers municipalities possess huge economic potential. They also play an important role by setting an example. Here in Germany, they account for about half the 350 billion euros spent on public procurement by the federal, regional and local governments. In many municipalities, municipal procurement processes are geared to the lowest bid. Criteria such as social conditions in the producing countries, many of which are in the South, are often not included as criteria for the award decision. The campaign aims to change this. 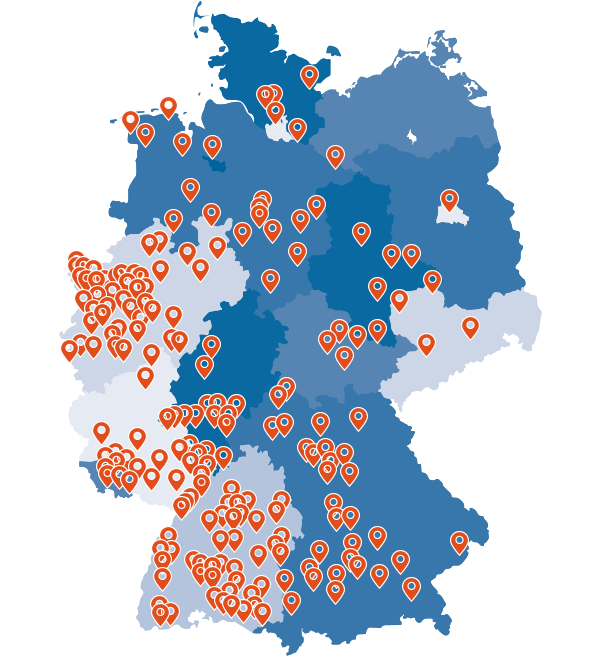 The Fair Procurement Network is a Germany-wide initiative launched by the Service Agency in 2007 which is committed to ensuring compliance with social standards in the award of public contracts. Through the network we aim to provide professional support and step up the exchange of experiences. Every two years, in the Capital City of Fair Trade competition the Service Agency awards prizes to German municipalities in recognition of their local engagement for fair trade. The winners receive prize money totalling 250,000 euros, which they use to continue their fair trade projects. The Sustainability Compass brings together a wealth of information on fair and sustainable public procurement, and makes it easier for practitioners to implement it. The web-based platform provides support and good practice examples for municipalities and other procurement entities. Map showing all the municipalities that have so far taken part in the Capital City of Fair Trade competition.